In late 2013, a car-charger maker with a large government contract filed for bankruptcy. Phoenix-based Ecotality, Inc. sought Chapter 11 bankruptcy protection in the United States Bankruptcy Court for the District of Arizona, listing assets of $50 million and debts of $500 million, including a large contract with the Department of Energy. In court papers, Ecotality expressed plans to auction itself off in order to pay its creditors. Ecotaility had warned shareholders earlier in the year that a bankruptcy filing may become necessary, due to its difficulty in obtaining long-term financing to continue operations. In light of the October 2013 government shutdown, many firms who do business with the United States government may find themselves in dire financial straits. These companies may hesitate to file bankruptcy, however, because they fear the repercussions that may come from their customers, particularly the federal government. Specifically, there is a fear that the government may refuse to agree to restructure contracts, which is the entire point of filing a Chapter 11. Section 525 of the Bankruptcy Code specifically prohibits discrimination in such circumstances, stating in subsection (a) that the government may not “deny, revoke, suspend or refuse to renew a license, permit, charter, franchise, or other similar grant” due to a bankruptcy filing. The Supreme Court recently affirmed this prohibition. • Be upfront: You do not have to tell your boss that you are considering bankruptcy. But right before you file, tell your boss. Do not wait for your boss to find out about the filing from another source (which will definitely happen). • Explain the situation: Some people feel that bankruptcy debtors have poor organizational skills and/or cannot be trusted with money. If your bankruptcy filing was brought on by a divorce, excessive medical bills, a previous job loss or any other factor unrelated to your work as a contractor, reinforce that point with your boss. 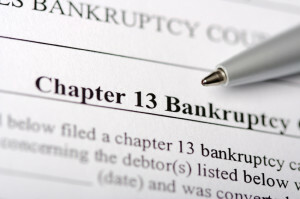 Bankruptcy discrimination is illegal, plain and simple. For a free consultation with attorneys who fight to protect your exempt assets, contact our office in Central Florida. This entry was posted in Bankruptcy, Chapter 11, Reorganization, Small Business and tagged bankruptcy, Chapter 11, debt, Ecoline on February 14, 2014 by Michael Faro.